This is one of my projects I’ve been working on during the last week. This is a Medium Custom Teepee with the optional extra of having a “simple shape” instead of one of the standard choices of an initial, heart or star above the door. 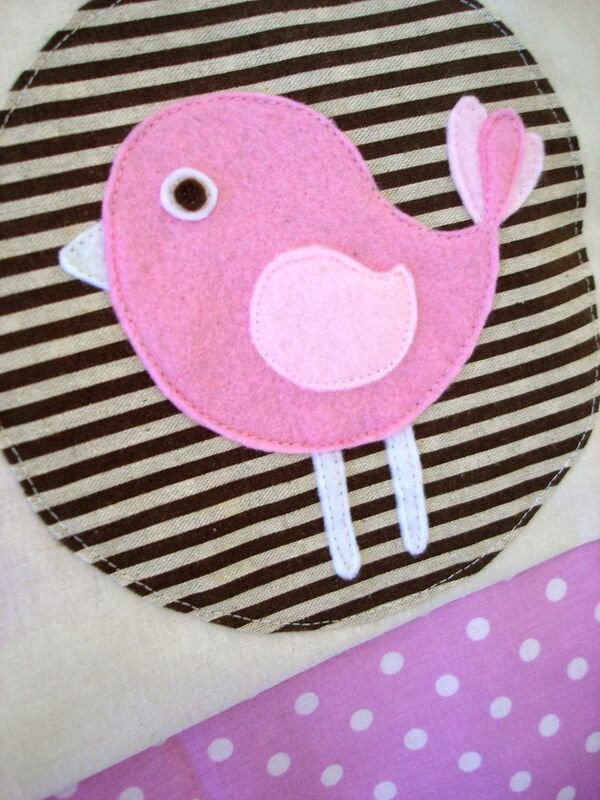 I’ve used this little birdie before in blue but I’m loving the pink. I’m just about to wrap this one up to send to it’s new home. I hope you love it Julia 🙂 Do you love it? 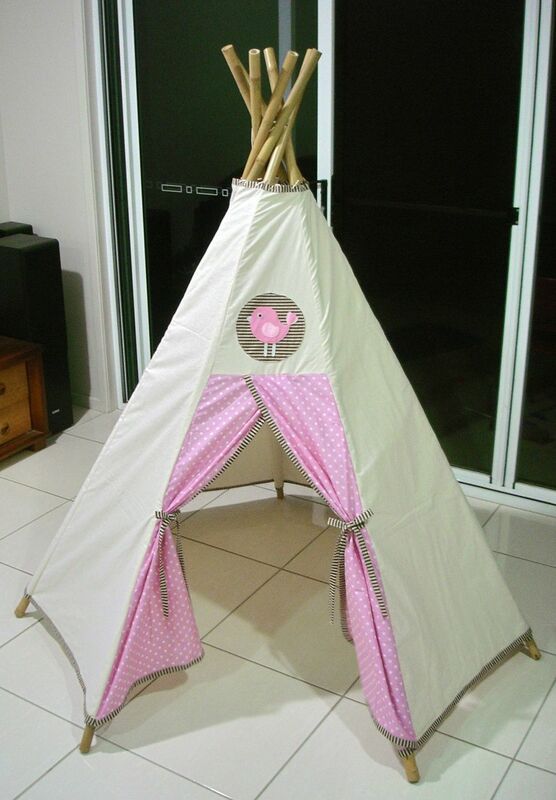 Would you want a teepee like this for your little girl? Hi Amy we received our teepee yesterday morning and just LOVE it!!! Holly is having a ball hiding in there with all her treasures and its taken the game of peek-a-boo to a whole new level! It is the perfect size for her to stand up in and has loads of room to hide away some of her toys too which my husband is thrilled about. Thank you so much! Your sewing skills are beautiful!